The LED UFO High Bay can provide perfect, clear lighting to places such as offices, hallways, retail stores, restaurants, warehouses and malls. 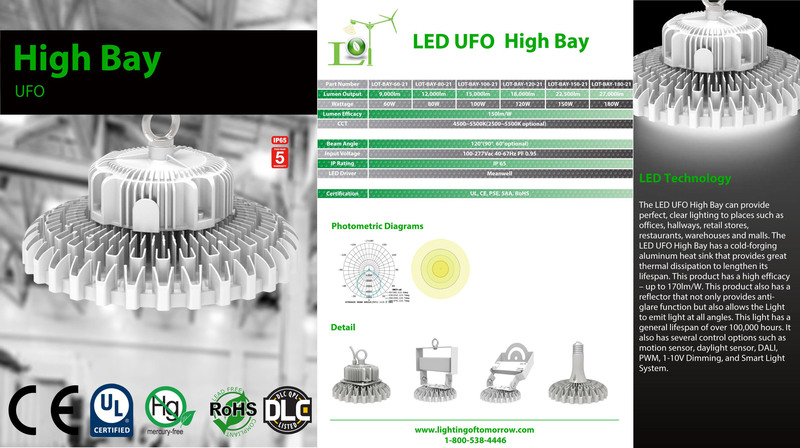 The LED UFO High Bay has a cold-forging aluminum heat sink that provides great thermal dissipation to lengthen its lifespan. This product has a high efficacy – up to 170lm/W. This product also has a reflector that not only provides anti-glare function but also allows the Light to emit light at all angles. This light has a general lifespan of over 100,000 hours. 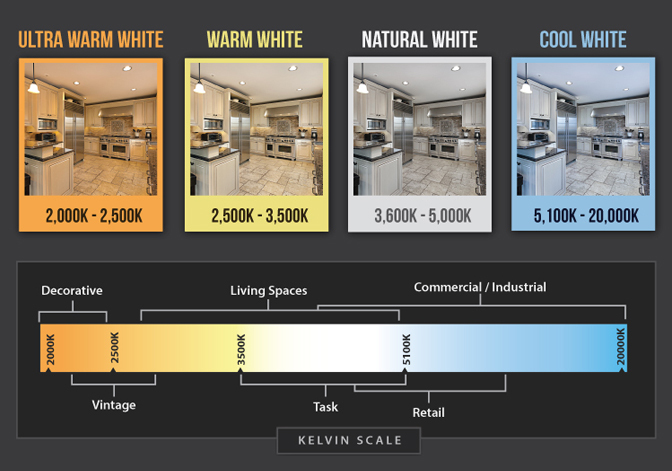 It also has several control options such as motion sensor, daylight sensor, DALI, PWM, 1-10V Dimming, and Smart Light System.